A crocodile made a 'courtesy call' at Dr Fenton Ferguson's Eastern St Thomas office during last week's intense rainfall. 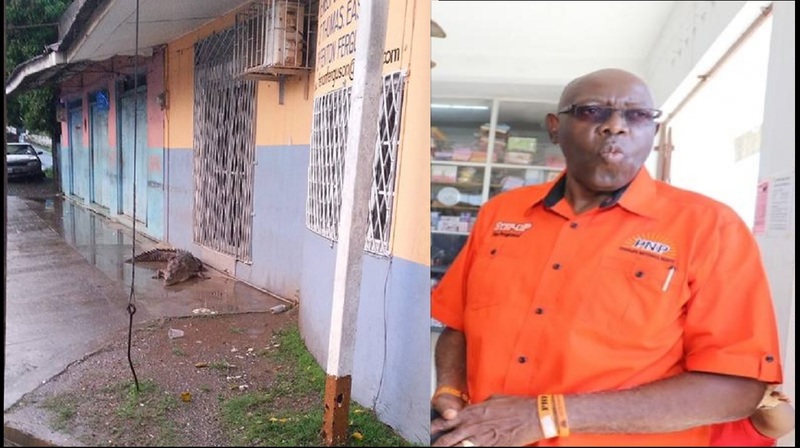 A Facebook post of a crocodile on the doorsteps of the office of Eastern St Thomas Member of Parliament (MP), Dr Fenton Ferguson, has fueled some light-hearted comments about the unusual occurrence and its possible significance. The crocodile made the 'courtesy call' during last week's intense rainfall in the parish, when extensive flooding would have displaced such creatures from their natural habitats. Of note was that the crocodile with its many large teeth on display, had come calling on the parish's most noted dentist. Desmond Gayle, who posted the image of the crocodile at the MP's office on Facebook, started the intrigue with a comment that, "this crocodile seems very upset with something". Venturing into further speculation, he said: "It looks very angry, miserable and crass. Maybe it wanted to see the DOC". 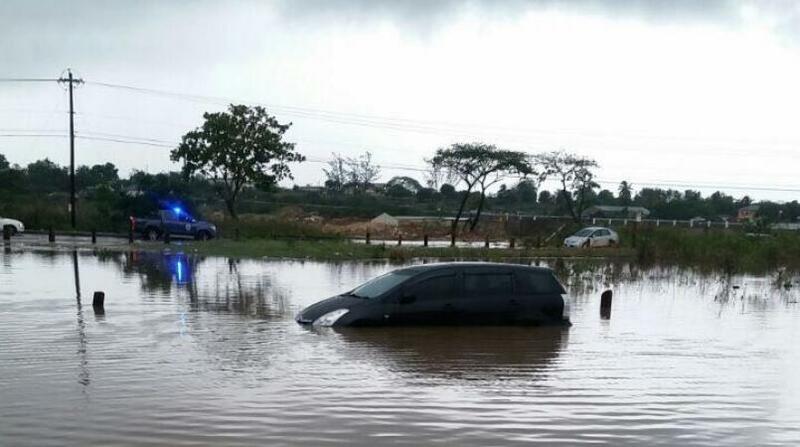 Also commenting on the crocodile outside the MP's office, Sharon Patterson, said: "Yes, di way di road dem bad, di crocodile tink seh a riva course it deh and him kip seeing vehicle inna him way, suh him a guh to Mr Ferguson fi tell him fi fix di road dem suh him nuh mistake it fi riva course." Colin Myrie played on the dead baby scandal and Ferguson's now infamous “not babies in the real sense" comments. “Is it a crocodile in the "REAL SENSE",paying a courtesy visit to its MP Fenton Fergie?” Myrie said. 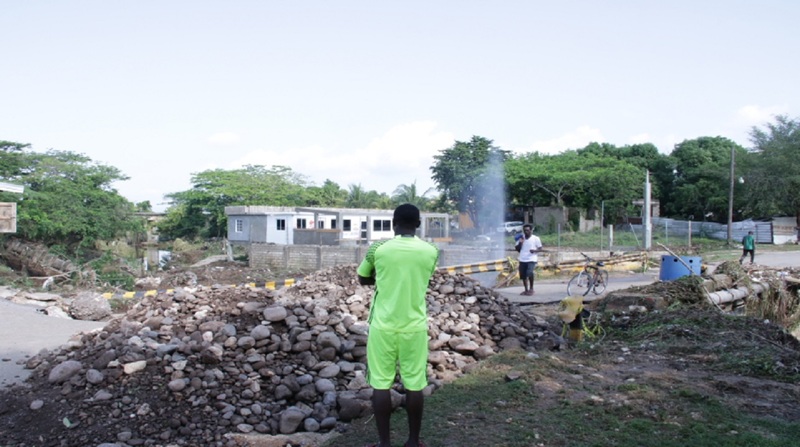 There has long been much complaint about the state of the roads in St Thomas, and the recent rains have worsened the situation, including in sections of the eastern part of the parish.